Chief Justice, His Honour Patu Tiava’asu’e Falefatu Sapolu, has provided his reasons for denying an application for an overseas Judge to preside over an appeal against the decision to discharge the President of the Land and Titles Court without conviction. 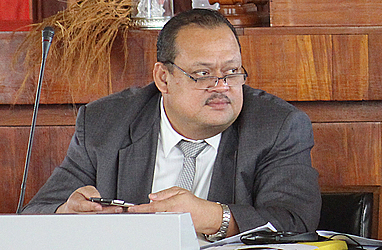 In reaching his decision, Chief Justice Patu dismissed an application by the Office of the Attorney General. The decision in question involves the suspended President of the Land and Titles Court, Fepulea’i Attila Ropati, who has been discharged without conviction by District Court Judge, Alalatoa Rosella Papali’i. Fepulea’i was represented by lawyer, Aumua Ming Leung Wai. These proceedings are concerned with an application by the Attorney General on behalf of the police as appellant for an overseas Judge to be engaged to hear the appeal by the appellant to this Court against a sentencing decision of the District Court discharging the respondent who is the President of the Land and Titles Court ( a separate Court from the Supreme Court and the District Court) without conviction but ordering him to pay $1,000 restitution to the victim and costs amounting to a total of $500. After hearing the submissions by counsel on 24 July 2018, I dismissed the application and told counsel that I will give my reasons in writing in due course. These are those reasons. On 15 December 2017 the police laid in the District Court a charge of causing actual bodily harm with intent together with less serious alternative charges against the respondent due to an incident that arose from the Courts 2017 end of year party. There was no application made on behalf of the police in the District Court for an overseas Judge to hear the charges against the respondent. On 13 February 2018, the police laid the more serious charge of causing grievous bodily harm with intent against the respondent in this Court. The case against the respondent was then transferred from the District Court to this Court. At the following mentions before this Court, the Office of the Attorney General made an oral application on behalf of the appellant for an overseas Judge to hear this case before this Court on the ground of apparent or perceived bias in respect of the local Judges. That application was denied. The respondent pleaded not guilty to the charges. Subsequently, the case was set down for hearing on 25 April 2018 before Clarke J in this Court. On that day, the prosecution withdrew the charge of causing grievous bodily harm with intent together with the alternative charges so that the only charge that remained was that of causing actual bodily harm with intent. The case was then transferred back to the District Court and the respondent changed his plea of not guilty to one of guilty to the remaining actual bodily harm charge. District Court Judge Papalii was then assigned the case for sentencing. Again, there was no application made in the District Court for an overseas Judge to pass sentence on the respondent. Judge Papalii when passing sentence discharged the respondent without conviction but ordered him to pay costs. The police then filed an appeal in this Court against that sentence. Again, the Office of the Attorney General made application (this time in writing) for an overseas Judge to be engaged to hear the appeal to this Court. This is strongly opposed by counsel for the respondent. The first reason for my ruling to dismiss the application by the appellant for an overseas Judge to hear its appeal is abuse of process. As pointed out by counsel for the respondent in his submissions, when this case was before the District Court for the first time, the appellant did not apply for an overseas Judge to hear the case. Subsequently, after the charge of causing grievous bodily harm with intent was filed and the case was transferred to this Court, the appellant made an oral application for an overseas Judge to hear the case but the application was denied. The case was then set down for hearing on 25 April 2018 before this Court by a local Judge after the respondent had pleaded not guilty to the charges. On the date of hearing, the charge of causing grievous bodily harm with intent was withdrawn together with the alternative charges and the remaining charge of causing actual bodily harm with intent was transferred back to the District Court where the respondent pleaded guilty and was sentenced by Judge Papalii. Again, the appellant did not apply for an overseas Judge to deal with the matter in the District Court. Now that the appellant has appealed to this Court against the sentence passed in the District Court, the appellant has again made application for an overseas Judge to hear and determine the appeal. Given that background, counsel for the respondent submitted that the effect of the appellant’s application is to undermine confidence in this Court as it presupposes that the Judges of this Court cannot be impartial to deal with the appellant’s appeal. Counsel further submitted that the effect of the application is to offend against this Court’s sense of justice and tarnishes its integrity. It is therefore an abuse of process. Counsel relied on a statement of principles from Williams v Spautz  HCA 34; (1992) 174 CLR 509 at p 520 in the joint judgement of Mason CJ, Dawson, Toohey and McHugh JJ which is cited in the judgment of this Court in Toailoa Law Office v Duffy  WSSC 53. I accept the submissions by counsel for the respondent. Secondly, the weight of relevant authorities is overwhelmingly against the application by the appellant. In the case of Woodroffe v Fisher  WSSC 100, a litigant brought a civil claim against a Judge of the Court of Appeal arising out of civil proceedings before that Court. The Attorney General was cited as second defendant in those proceedings. The claim was heard and determined by Tuatagaloa J in this Court. There was no application by the Office of the Attorney General for an overseas Judge to deal with that case. On appeal to the Court of Appeal, the appeal was heard by Panckhurst J, a regular member of the Court of Appeal, and two local Judges. There was again no application by the Office of the Attorney General for different Judges from overseas to hear and determine the appeal. In the case of Sapolu v Saaga  WSSC 24 which was concerned with a civil claim against a District Court Judge arising from the hearing of criminal proceedings, the case was heard before Tuatagaloa J in this Court and the defendant was represented by the Office of the Attorney General. There was no application by the Office of the Attorney General to engage an overseas Judge to hear that case. In the New Zealand case of Nakhla v McCarthy  1 NZLR 291, a litigant brought civil proceedings against the former President of the then New Zealand Court of Appeal Sir Thaddeus McCarthy following the dismissal by the Court of Appeal of a criminal appeal against conviction and sentence. The civil proceedings were tried before the then New Zealand Supreme Court by a Judge of that Court and were struck out on the ground of judicial immunity. The plaintiff then appealed to the then New Zealand Court of Appeal presided over by three New Zealand Judges including Woodhouse J who had been a permanent member of the Court of Appeal at the same time together with Sir Thaddeus McCarthy as president. In other words, when Sir Thaddeus McCarthy was president of the then New Zealand Court of Appeal Woodhouse J was also a member of the same Court but Woodhouse J was still able to preside in the Court of Appeal at the hearing of Mr Nakhla’s appeal in Nakhla v McCarthy. There is nothing from the judgments of the then Supreme Court or the then Court of Appeal of New Zealand to show that the there was an application for an overseas Judge to deal with the matter or that the issue of an overseas Judge was ever raised or considered. In the Australian case of R v Murphy (1985) HCA 50; (1985) 158 CLR 596 which was concerned with criminal proceedings against a Justice of the High Court of Australia, the proceedings were tried before an Australian Judge and an Australian jury in the Supreme Court of New South Wales. There is no evidence to show that the question of engaging an overseas Judge to preside over the trial was ever raised or even considered. The case then went up on questions of law to the High Court of Australia where the defendant was still a sitting member. The High Court which was made up of the defendant’s judicial colleagues heard and determined those questions of law. Again, there is no evidence from the reported joint judgment of the High Court to show that the question of engaging overseas Judges to sit in the High Court was ever raised or even mentioned. No doubt there must be other similar overseas cases where no overseas Judge was engaged to hear a case which involved a local Judge as a party. The little time I have had for research after hearing the submissions by counsel has further disclosed cases which involved Judges as parties to civil litigation being dealt with by local Judges and not by overseas Judges: see, for example, the New Zealand cases of O’Neill v Toogood  NZHC 795 which was concerned with civil proceedings against a High Court Judge being heard by another local High Court Judge; Burchell v Auckland High Court  NZHC 517 which was concerned with civil proceedings against the Auckland High Court and an Associate Judge and the proceedings were heard by another local High Court Judge; Siemer v Auckland High Court  NZHC 3540 which was concerned with civil proceedings against a High Court Judge being heard by another local High Court Judge. Even though in all those cases the proceedings were struck out, there is no evidence of an application being made for an overseas Judge to be engaged to hear the proceedings. New Zealand seems to have faith in its own Judges. 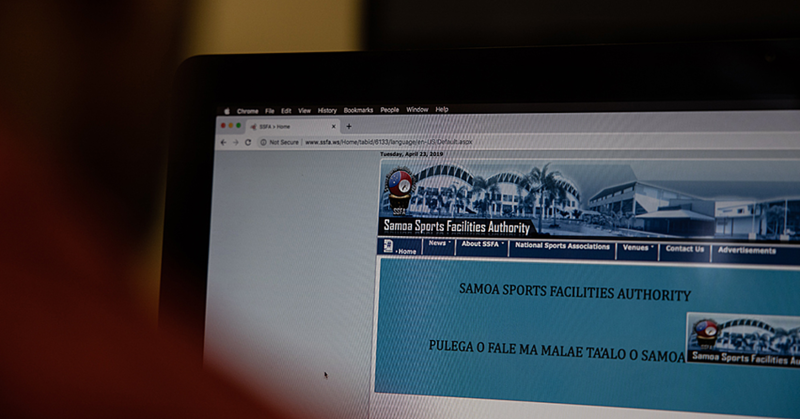 Counsel for the appellant was able to find only one local case which involved a local Judge where an overseas Judge was engaged to preside here in Samoa. This was the case of Attorney General v Vaai  WSSC 47. That case was concerned with contempt of Court of proceedings brought against the defendant for contemptuous remarks made by him in a local newspaper against the Chief Justice who was therefore disqualified from hearing the contempt proceedings. Justice Vaai was also disqualified from hearing the proceedings because he and the defendant are first cousins. The only other Supreme Court Judge at the time was Nelson J. In those circumstances, Justice Kellam from Australia was brought over. 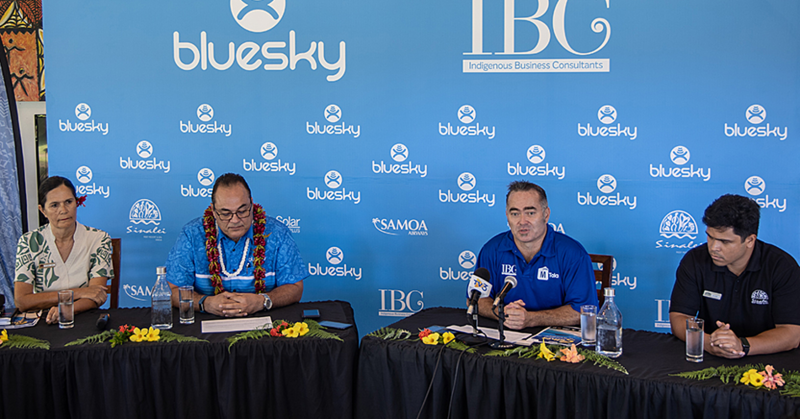 But the Samoan Judiciary has made significant developments and progress since that time. There are now six Judges of the Supreme Court and subsequent cases involving Judges as parties have not repeated what happened in the Attorney General v Vaai  WSSC 47 which must now be considered to be out of the norm. From the above discussion of relevant case law, the weight of authorities is clearly and overwhelmingly against the application by the appellant for an overseas Judge to hear its appeal. “A person who is subject to disqualification at common law may be required to decide the matter if there is no other competent tribunal or if a quorum cannot be formed without him. Here the doctrine of necessity is applied to prevent a failure of justice. So, if proceedings were brought against all the superior Judges, they would have to sit as judges in their own cause. Similarly, a Judge may be obliged to hear a case in which he has a pecuniary interest... The Judges of Saskatchewan were held to be required ex necessitate to pass upon the constitutionality of legislation rendering them liable to pay income tax on their salaries”. “Persons who are prima facie disqualified for pecuniary or personal interest may be held, on grounds of necessity, competent and obliged to adjudicate. Necessity prevails where no other competent and duly qualified tribunal can be constituted. The Judges of Saskatchewan were held obliged ex necessitate to pass upon the constitutionality of legislation which made them liable to pay income tax on their judicial salaries. Similarly, the House of Lords has held that it has, of necessity, jurisdiction to review its own decisions reached through an unfair procedure. The Law Lords were the ultimate Court of appeal and there was no other Court which could correct a procedural impropriety at that ultimate level”. There is no suggestion from the passages cited above that if there is no local Judge who can hear a case because of pecuniary or personal interest then the way out is to engage a Judge from overseas. I have not been able from my research to find any case where such a thing has happened in a foreign country. If, however, there is such a case then it must be very rare. 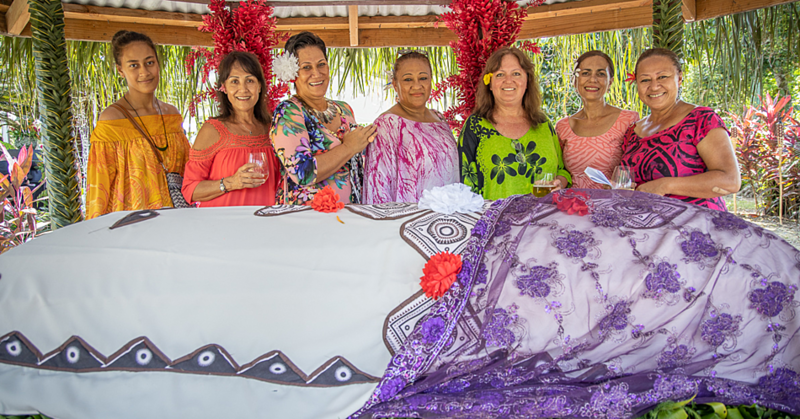 It would be taking a retrograde step for Samoa if we are to engage an overseas Judge because all the local Judges are said to be disqualified from hearing a case on the ground of apparent or perceived bias. It would also be an unnecessary surrender of our judicial sovereignty to an outsider when we have our own Judges to deal with the case. Counsel for the appellant tried to distinguish on the facts the cases of Nakhla v McCarthy  1 NZLR 291 and R v Murphy (1985) HCA 50; (1985) 158 CLR 596 from the present case in order to support the appellant’s application for an overseas Judge. In my respectful view, the factual distinctions drawn on behalf of the appellant do not prevent the application of the principle of necessity to this case. For the above reasons, I decided on 24 July 2018 to dismiss the application by the appellant. I also indicated to the parties that Clarke J will hear the appeal in this matter which is now set down for hearing on 10 August 2018. Counsel to file memorandum as to costs within 7 days if agreement cannot be reached.